The project focused around designing the interior and exterior configuration of the Minuetto, the line of passenger-car trains earmarked to serve interregional stretches across Italy with frequent stops at railway stations. With a keen eye focused around linking perceived quality to production performance, keeping down costs and bringing a note of elegance to regional services, the project called for upstream research to meet the needs and technical specifications set by the Customer –Trenitalia – and the Constructor – Alstom Ferroviaria. Once sketches and pre-feasibility technical drawings had been completed, computer simulations and scale models were put in place for the multiple-unit bodyshell and the driving cab. Almost like urban tramcar applications, contemplated to surround the front of the train was a large, flat windshield ensuring traindriver panoramic viewing. Given frequent stops at railway stations along the railroad routes and passenger traffic flows, clear and careful focus was steered towards defining ways to ensure easy car-carriage access. 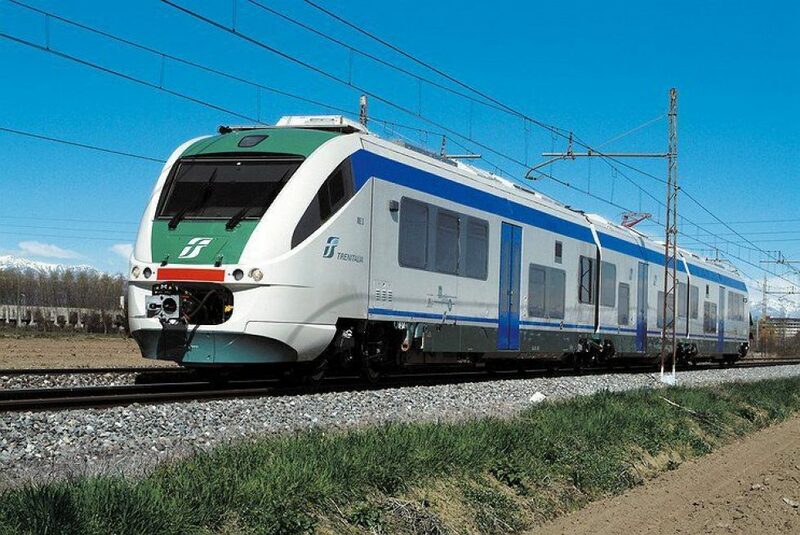 Visited by thousands of people, the mock-up was exhibited by Trenitalia at many locations across the national territory and illustrated to the regional Public Administrations, possible Minuetto regional fleet customers. The Minuetto train-set steps into the limelight by way of an aerodynamic fronted train, with rounded surfacing ribbed by channel grooves and recessed shallows inserted in which are functional elements such as lamps and lights, automatic couplet, etc. Graphics along the side of the train are dominated by what seems to be a “seamless and flowing brush stroke“, matching up with section above: the seamless and flowing motif across the colored stripe is gentle to the eye and camouflages the differentiated spacing and heights of the windows, doors and technical paneling. The concept running through the car interiors is designed towards offering superior passenger comfort and easy carriage-to-carriage access and “transparency”. Of course, the general philosophy underscoring this concept complies, as and where applicable, with overall technical/functional dimension restrictions by putting in place fired-glass partitions, bow-shaped and upward tapering. Other than the multifunctional zones, also enriching the train‘s layout are “sitting-rooms” furbished with comfortable armchairs.